Brussels: Demo march 21. A roof for everybody! 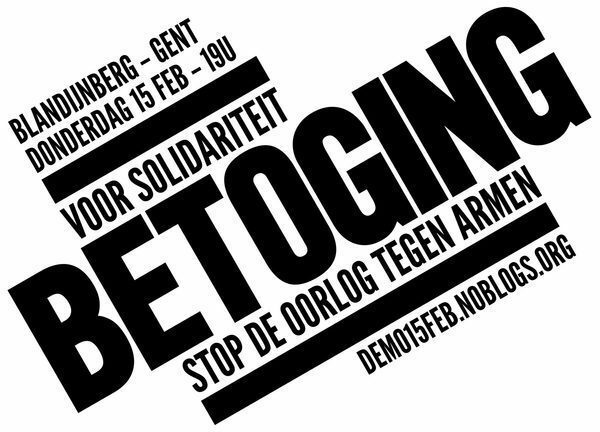 On 15 february 2018, a few hundred people were demonstrating in Gent against the squatting ban. They ended up occupying a big empty building for people in need of housing. The banner on the squatted building is stating: “What is not allowed is still possible“. From 23 till 25 February, the action weekend against the squatting ban will take place in Gent. This new social center is called Kraaiennest. More events in Gent are to be found on Chiropractor. On 3rd November 2017, a squat on Stapelplein in Gent was attacked. A family with young kids was living in a house, not to have to sleep in the park as they did before. A group assaulted them with sticks and fireworks. This was an act of racially motivated hatred against Roma. This hatred is fueled by a media campaign, spreading a lie from the owner. The house was left empty, and later nobody was living there. In recent decades squatting has been under near constant assault from a variety of ruling class actors. 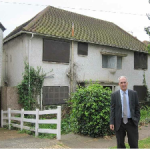 In 2012 the Conservative/ Liberal Democrat government banned squatting in residential properties for the purposes of living. Councils, Conservative and Labour alike, treat squatters as a public health issues and pressure property owners to fast track evictions. The (still) rising property market in London and other major cities has incentivised owners to use underhand legal techniques and increasingly violent tactics to rid their properties of squatters in order to make a quick sale or proceed with redevelopment works. In spite of this, squatting continues. A Houses of Parliament report on evicting squatters estimated there to be around 20,000 squatters at any one time in the UK. This is certain to be a conservative estimate considering the tens of thousands of hidden homeless and the tendency among squatters to float between squatting and other forms of precarious housing arrangements such as guardianships, pubwatching and renting. Squatting goes on, but in a much diminished form. Nearly all capacity for establishing any kind of long term infrastructure has been destroyed. In the past, semi permanent spaces have been places for squatters to organise, relax, recuperate and party. More than most, squatters depend on solidarity and mutual aid to survive. In Amsterdam squats can last for years. Joe’s Garage, for example, is a social centre near the centre of Amsterdam which has been squatted for 12 years and hosts gigs, talks and people’s kitchens. Social centres and creative spaces act as community hubs that people incorporate into their everyday lives and routines and provide points of stability that can be relied on. When evicted squatters move to nearby squats to rest and make plan to rehouse themselves, vans are found to move possessions, eviction resistances are put together initially through networks of friends. The demise of squat infrastructure has made it harder to get these things done. It is difficult to keep track of your mates if they move every few weeks. It’s even harder if your time and energy is taken up with moving yourself and your crew. Sudden court dates, unexpected illegal evictions and the like have inculcated a heightened capacity for emergency crisis planning, at least in the London squat scene where I have experience. Less time for social events and collective actions has meant squatters tend to see the most of each other in stressful situations like evictions, or raves. More often than not squatters just end up seeing less of each other, a diminishing of the social network they rely on to survive. There have been attempts to combat this trend. Last year an old bank on Deptford High Street was squatted and hosted regular collective meals and other open events such as info nights. This was encouraging and saw frank articulations of politics and lived experiences between squatters and non squatters. The bank squat lasted a couple of months and the crew kept up events in a new building. Inevitably, however, some people not clued into the squatters social circle were left behind in the move, either because they did not know where the new building was or did not have the means to easily get there. Squatting will continue as long as the housing crisis continues, as long as people are forced to the margins of society. The reorientation away from crisis planning and towards long term organisation, towards new infrastructure, will take time and will require different strategies and efforts. 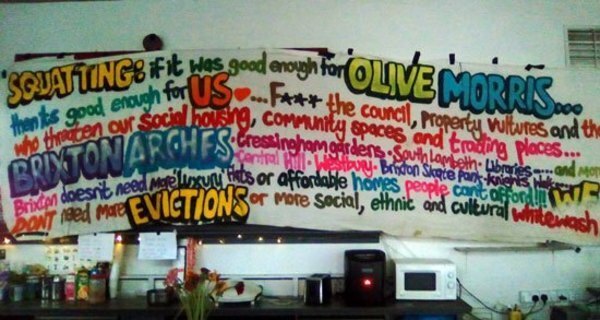 It is time for the left to end its sneering dismissal of the squatter movement – to stop instrumentalising squatters whenever they need them for a political action or occupation only to forget about them when they are no longer needed. Squatting is part of a spectrum of precarious housing and living that needs to be contested and should be more integrated into struggles for council housing, direct actions against estate agents and organising among couriers and other ‘gig economy’ industries. The city belongs to all of us, including to the poor and to the refugees. The city council needs to focus on making the biggest medley so not only people or organizations with money, but everyone has a chance to settle at their place of choice. The heart of a city is essential part of making a city livable and therefore cheap rents for housing and shops should be preserved. To tie in with the courtcase starting Monday in Brighton, when three squatters are going on trial under s144 and will not be pleading guilty, here’s some analysis of the criminalisation of squatting in England and Wales.. In 2012, as we all know, new offence of squatting in a residential building was created by the Government, following a moral panic in the media whipped up by a few right-wing politicians. After a rushed consultation, a last-minute clause was added to the Legal Aid, Sentencing and Punishment of Offenders Bill (LASPO) which meant that it was never properly discussed in the House of Commons. The bill was then pushed through the House of Lords at midnight. Section144 criminalises trespass in a residential building with up to 6 months in prison and/or £5000 fine. 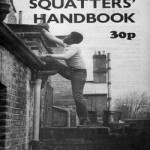 Previous campaigns to criminalise squatting in the late 1970s and mid 1990s had failed, unfortunately this time it partially succeeded. The same MP who has tabled an Early Day Motion (EDM) that highlights the need for owners of commercial property to have the same rights as owners of residential premises when it comes to removing squatters has invited musician and DJ Fatboy Slim (aka Norman Cook) to play an unprecendented set at The House of Commons on the 6th March!!! Cook will be performing at Parliament’s terrace bar as the support act for the winner of “the House the House competition”, in aid of the Last Night a DJ Saved My Life Foundation, a charity which is aimed at getting young people involved in their communities. 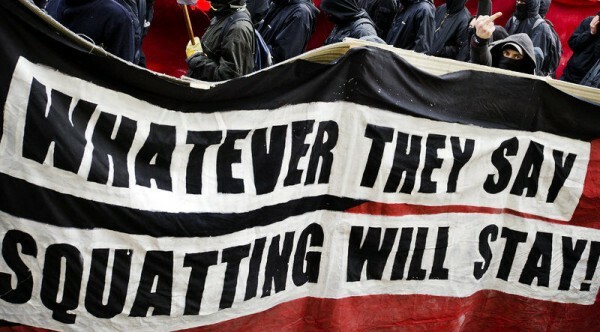 UK: Whatever they say squatting will stay! 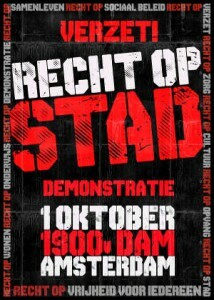 October 1 2011 marked one year since the Kraakverbod made squatting illegal in the Netherlands. However, hundreds of people still squat and will continue to squat. 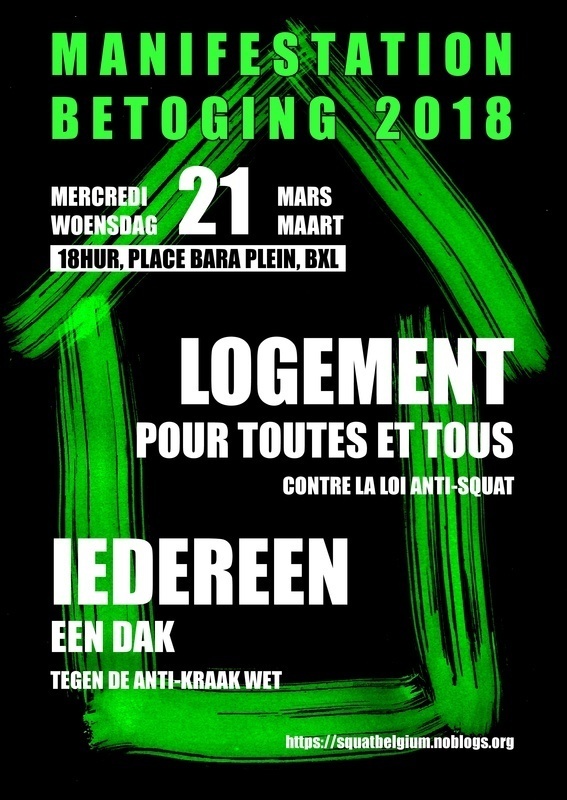 With squatting in the UK coming under threat, join us to hear 3 squatters from Amsterdam talk next week in several cities across the UK about squatting before the ban, resistance to the criminalisation and what’s been happening since the Kraakverbod became law. Amsterdam: 1st of October – We’re still here! Once upon a time, there was a group of people who were declared criminals overnight and who then took to the streets and said: Your laws, not ours. And they set fires in order to show that they will not go away silently, they will not surrender… Come to Amsterdam on 1st of October to show that the fires of last year are still smoldering – and they might flare up any moment! The first day of the squatting ban. Head of the police and a public prosecutor known for his hatred towards squatters are placed under 24-hour surveillance and protection after threatening texts (for example “an accident is just around the corner”) are supposedly painted outside their houses the previous night. In Amsterdam 1000 people take part in a demonstration against the squatting ban. During the demonstration a house is squatted, and slightly later a riot breaks out when the cops charge the crowd. The police uses tear gas for the first time in years. 2 cops, 3 cop horses and several squatters are injured. One squatter is beaten severely and ends up in hospital with a fractured skull. 11 people get arrested. As everyone knew for a long time already the squatting ban finally became a legal entity on the 1st of October. How the law isto be implemented and enforced is still speculated upon. In the week before its arrival there came some very hard talk from the mayor and the chief of police. 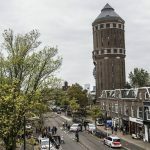 The mayor stated that 300 squatted buildings and appartments in Amsterdam are to be evicted and that squatting is now a criminal offence and must be treated as so. The chief of police said “man power is no issue” and that the number of eviction waves are to be at least doubled. This was very strong talk coming from the city officials and the response is as follows.